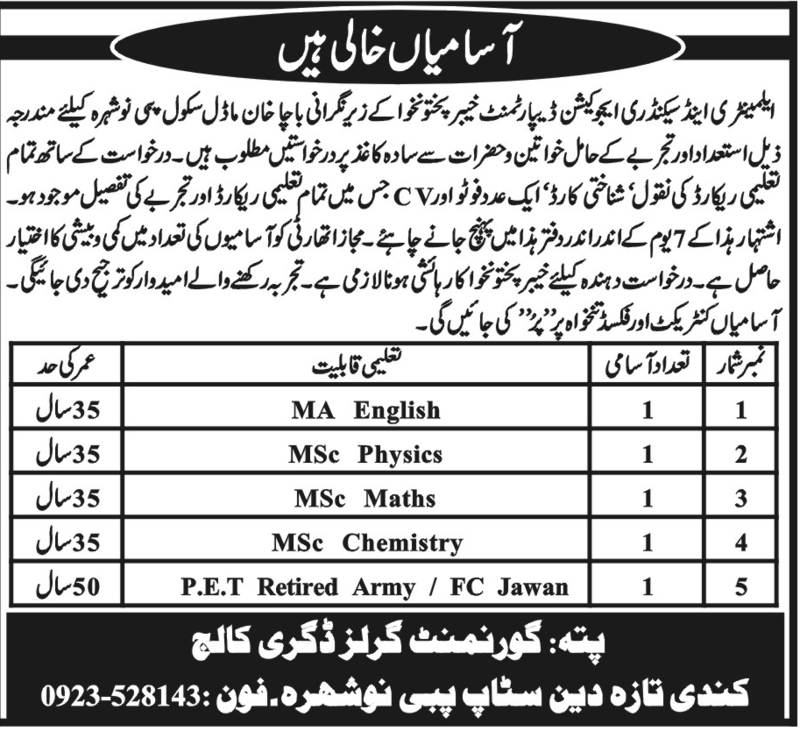 Below are the complete details of the Teacher jobs in Elementary & Secondary Education Department in Nowshera. 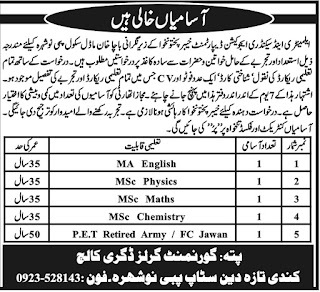 Qualification: Elementary & Secondary Education Department Nowshera Jobs For Teacher. Required Qualification: MA/ M.Sc from Recognized University/ Institution. Age Limit: Maximum 35 Years. Attractive Salary Package. Last Date for Submission of Application With in 7 Days. Teacher jobs in Elementary & Secondary Education Department Nowshera, in Pakistan published on Paperpk.com from newspaper on January 08,2019. Job seekers who are already working as English Teacher , Chemistry , Biology Teacher , Female Vocational Teacher , Teacher , Female Teacher , Maths Teacher , Montessori Teacher can also apply for post of Teacher.